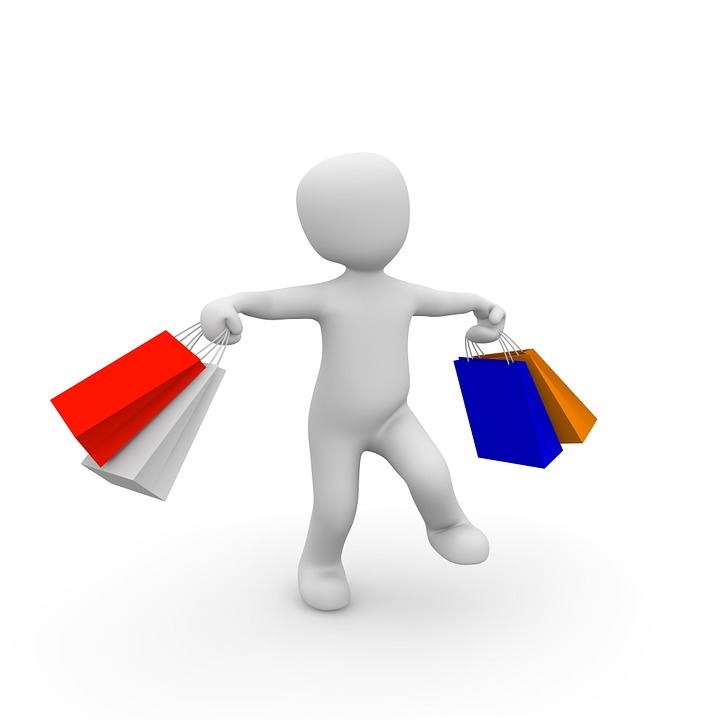 To the outside world, an ecommerce shop seems like a no-muss no-fuss way to make money online. Truth is, it comes with its own set of challenges, just like running a traditional brick and mortar store. And if you start off with the wrong infrastructure, your chances of success are greatly diminished. To make sure you choose the right ecommerce platform for your needs, think about these four aspects before choosing the one to operate with. Every platform will have fees. Some offer a flat rate monthly fee, while others charge a percentage of each transaction. If you don’t plan on making a lot of sales to start, then a large monthly fee may not make sense. However, if you have a lot of products that could lead to a high volume of transactions where paying a flat rate every month could save you money. As you consider the costs, be mindful of the expenses you’ll incur as you scale. A small monthly plan may make sense as you’re getting started, but there are often limitations on the number of products you can carry, or the number of transactions you can process every month. Just because one plan makes sense right now, doesn’t mean that same company will have the same kind of deal at the next tier. The last thing you want to do is get things rolling, outgrow your current set up, and then find yourself needing to change platforms. You’ll also need to consider the cost of hosting – more on that below – if you’re not using a hosted platform. You’ll have to pay for bandwidth, storage, and possibly plugins as you scale. Think about the budget you have available and strive to get the best possible deal within that budget – but remember, money isn’t the only factor to consider. Whenever you find an ecommerce platform you feel may work for your business, compare it to all the others you’re considering. Get in touch with a sales rep and ask questions. If you don’t completely understand what you’re signing up for or confirm the functionality is what you expect it to be, you could be causing a future headache. Ask about everything from costs to how easy it is to edit orders and automate your processes. Remember, all ecommerce platforms have their own marketing strategies to get you to buy. If all you’re doing is reading the testimonials and comparing features and costs, you may make the wrong decision. While all the ecommerce platforms out there do have their pros, not every platform is the best choice for every business. Are you selling digital or physical products? Digital products don’t have to think about shipping costs and vendors, but they do have to consider automatic delivery of product after the purchase is complete, as well as a limit on the number of times you can download the purchase. What payment methods are you going to accept? PayPal is the most widely used processor, but if you want other options, that may limit the platform choices you have, since many of them don’t favor third party payment processors. If you think you’ve got the perfect ecommerce platform, but your team can’t use it effectively, then you’ve got nothing. It’s essential to think of the people who will be working with the software every single day, and make sure it’s easy for them to use. Workplace stress can contribute to decreased productivity, so take time to ask for their input. Don’t be afraid to implement training to help them learn how to use the software, but make sure they still have the means to do their job outside of that training. Don’t require them to drop everything they’re doing to undergo weeks of extensive training to learn how to use the new platform. Consider signing up for trials of the top two platforms you think are the best fit for your business and ask your team to work with them both. Then, take a vote and see which interface they prefer. You and your team will be spending a lot of time with these interfaces to manage the business, so if something is confusing or difficult to use, then it’s going to create issues and make you less efficient. Hosted platforms take care of the storage space and bandwidth for you. All you have to do is sign up, point your domain to the store, and start adding products. But that often means you lack control over all the features and design. If you want to be able to change the look and feel of your store on a regular basis, and have the available staff to do it, then a self-hosted solution may be the way to go. This also means that if something goes wrong with the software, you’ll have limited support – because you’re the one in control. If you do want to host it yourself, you’ll need to pay special attention to the hosting company you select. Make sure they offer 24/7 support, so you can reach them if you need to, and provide daily website backups to protect you in the event that files are accidentally removed, or the website gets hacked. If you’re a novice, check out HostAdvice’s unbiased webhost reviews to help you make up your mind. It’s also important to know whether or not you’ll be on a shared server with other websites. You need to know if that shared server will affect your outgoing customer emails if another company hosted on the server gets blacklisted as spam. You also need to be aware of the security precautions the host takes if you’re going to be on a server with other sites, because if one gets hacked, it could affect your business. It’s possible to get a dedicated server where yours is the only website, but this is costly, and often not necessary for small operations. It’s useful for when you have a massive customer base and want to keep things running as smoothly as possible for major sale events like Black Friday and Cyber Monday. Ultimately, the ecommerce platform you choose has a big impact on your bottom line. You’ll put a considerable amount of resources – time, money, and effort – into building your online store. To have any chance of recouping those costs and earning a profit, you must ensure that the website is up and running all the time, and that the workflow allows for quick and easy order processing and dispatch to keep your customers happy.